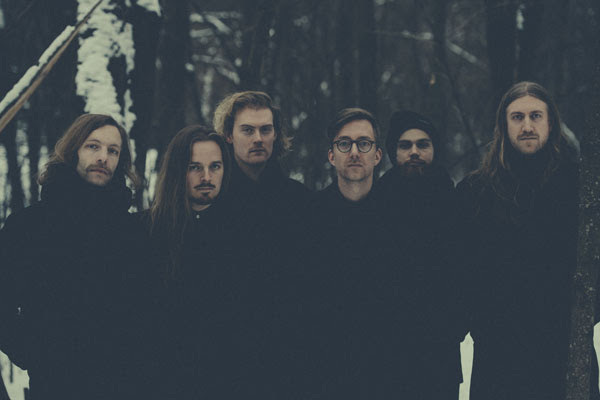 Spurv Announces New Album "Myra" And Share Leading Single "Og Ny Skog Bæres Frem"
Norwegian post-rock collective Spurv have returned and announced an awe inspiring third full-length album titled "Myra". Recorded at Malabar studio in Oslo by Martin Bowitz (Cold Mailman) in collaboration with Emil Nikolaisen (Serena Maneesh), mixed by Bowitz and Jørgen Smådal Larsen, and mastered by Magnus Lindberg (Cult of Luna), "Myra" features contributions from Kari Rønnekleiv, Moe’s Ole-Henrik Moe and Ulver’s Tore Ylvisaker and Ole Aleksander Halstensgård and is set for release on June 1st via Fysisk Format. Pre-orders are now available HERE. "The album was written in the years that have passed since Skarntyde and recorded in the first weeks of 2017." says the band about this new effort. "With Skarntyde, we felt that we had come as far as we could, almost on our own, and with "Myra" we have taken a huge step, if not forward, then deeper, towards what we want Spurv to be. Especially Ole-Henrik Moe and Kari Rønnekleiv have come with invaluable contributions that fill out and bind together the album, while Tore Ylvisaker and Ole Aleksander Halstensgård from Ulver have filled in details that draw out harmonies that we did not know were to be found in our own music." 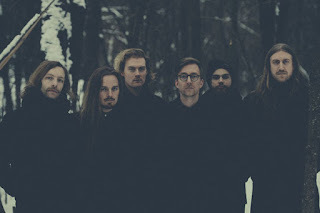 The Norwegian sextet recently teamed up with Echoes and Dust for the exclusive premiere of leading single "Og Ny Skog Bæres Frem", listen to this new track HERE.